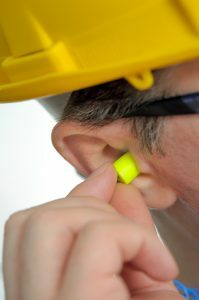 Whether you are in charge of a crew about to head to its next job site or you are a worker on that crew, you need to know how to preserve your hearing. The construction industry is always growing. This means busier construction areas with many more workers on site at once. However, many construction zones are full of noise, mainly when the workers are tasked with cutting through concrete. That’s why hearing protection is so important. Whether you are in charge of a crew about to head to its next job site or you are a worker on that crew, you need to know how to preserve your hearing. Cutting, sawing, or otherwise demolishing concrete can produce highly-damaging levels of noise. Even using a jackhammer or handsaw can affect your hearing without earplugs. That said, when you are working, try to avoid other noisy environments, such as the roadway or nearby train tracks. Once you are off duty, do your best to not go anywhere with loud noises, such as concerts or public events with live music. If you do engage in these activities, stay as far away from the speakers as you can to protect your hearing. Another suggestion when it comes to hearing protection is to experiment with noise-canceling technology. For office workers, especially the workers associated with your construction or concrete working company, using headphones to block out ambient noise is a great way to focus on getting some work done. However, for the workers out on the active job site, listening to loud music through headphones or earphones can only add to the amount of noise they have to tune out. While listening to music can be a way to avoid having to listen to the drone of the equipment you use, that’s not healthy for your hearing. Noise-canceling headphones are your best bet, no matter where you are. Finally, protecting your ears is another good way to ensure hearing protection. Getting rid of earwax with cotton swabs or other tools is not the best idea. You’ll also need to wear earplugs and earmuffs whenever you are on the job, especially during the frigid temperatures associated with a polar vortex and the typically cold days January and February bring with them. This entry was posted on Friday, February 1st, 2019	at 1:23 pm	. Both comments and pings are currently closed.